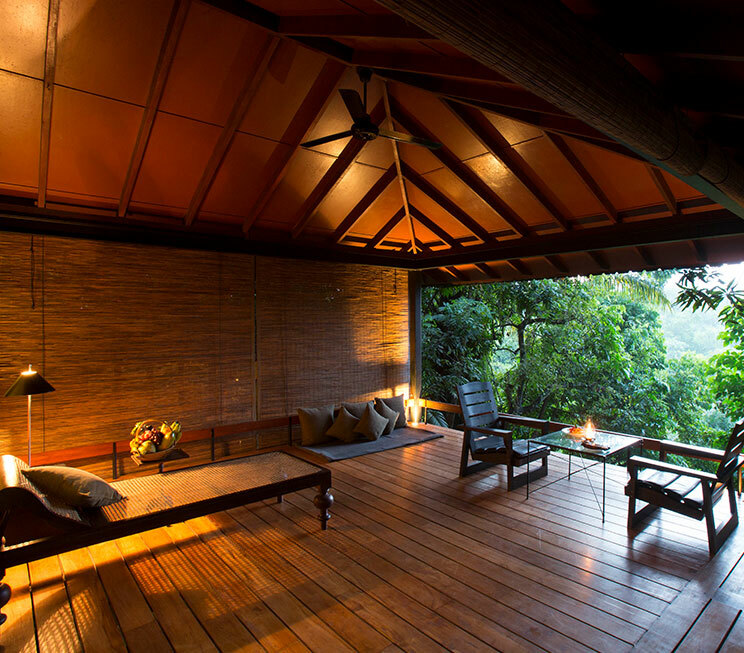 The lush habitat of Jetwing Kurulubedda is home to six luxury villas. Sri Lanka, with its stunning natural beauty, remains a vital essence of our legendary hospitality here, and we are proud to share it with you in the peaceful environment that hosts our four Deluxe Rooms and two Dwellings –sustainably built for rustic luxury living in the backlands of our southern province. Designed to harmoniously blend in with the nature around you, each of our expansive rooms overlook the verdant jungle canopy and paddy fields. Fitted with contemporary essentials, every space is air-conditioned and features an en-suite bathroom with a luxury rain shower for your absolute comfort. The Dwellings in particular, offer a remarkable sense of tranquility with the added pleasure of a private plunge pool for a refreshing escape amidst the greenery. And for a true natural experience, you may also opt to bathe with the refreshing well water of our provincial home. 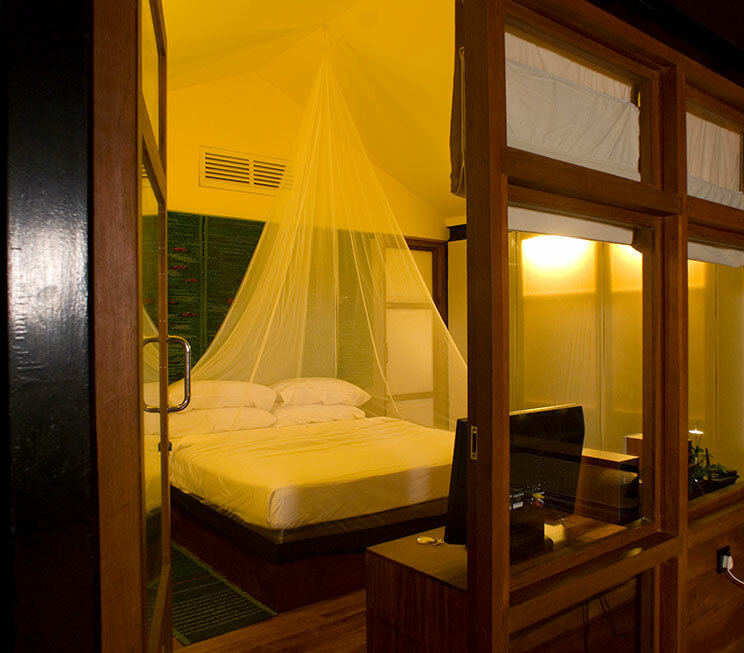 In exchange for the sound of crashing waves, you are treated to a natural symphony of the nearby river flowing, the resident crickets chirping, and the leaves from the treetops rustling – all from a private terrace connected to your spacious jungle abode. Polished wooden floors and comfortingly tall ceilings also add to this soothing setting fitted with modern amenities, as we welcome you home at our hidden sanctuary of serenity.